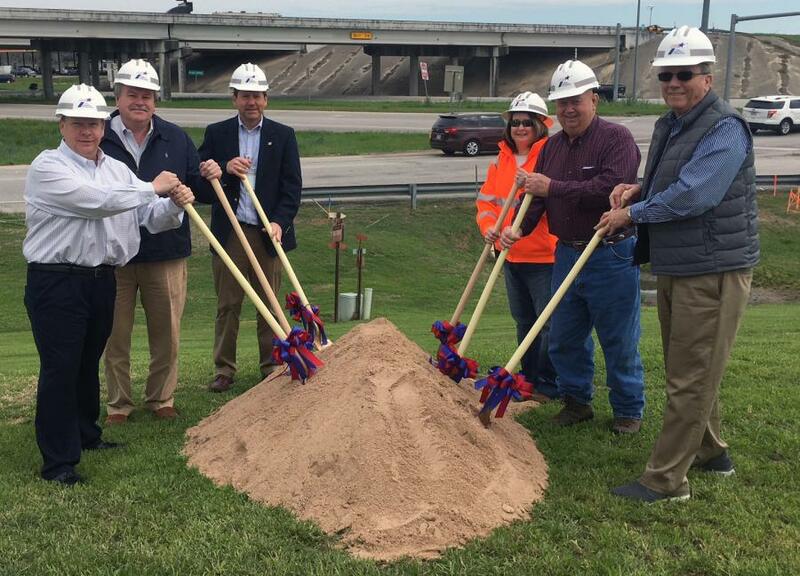 On March 13, the Texas Department of Transportation (TxDOT) along with other local officials and engineers, celebrated the beginning of construction on the U.S. 183 at I-10 intersection project. On March 13, the Texas Department of Transportation (TxDOT) joined Caldwell County Precinct 2 Commissioner Eddie Moses and Luling City Manager Mark Mayo, along with other local officials and engineers, as they celebrated the beginning of construction on the U.S. 183 at I-10 intersections project. Work on the $1.8 million project includes adding a new U-turn lane from the eastbound I-10 frontage road to the westbound I-10 entrance ramp, adding a second through lane in each direction on U.S. 183, and adding left-turn lanes from U.S. 183 onto the I-10 frontage roads. “I want to commend TxDOT for taking the initiative to expand capacity along U.S. 183, while also adding much-needed turn lanes for those getting onto I-10,” Moses said. The project contractor, Dean Word Company, is starting work this month, and is expected to complete the project in the fall of 2018.